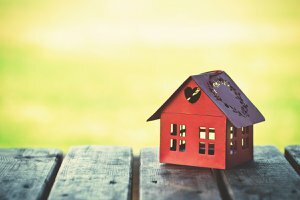 August tends to mark the waning of housing activity ahead of the school year. Not all buyers and sellers have children, but there are enough parents that do not want to uproot their children during the school year to historically create a natural market cool-down before any actual temperature change. Competition is expected to remain fierce for available listings. Savvy sellers and buyers know that deals can be made well into the school months, as household formations take on many shapes and sizes. 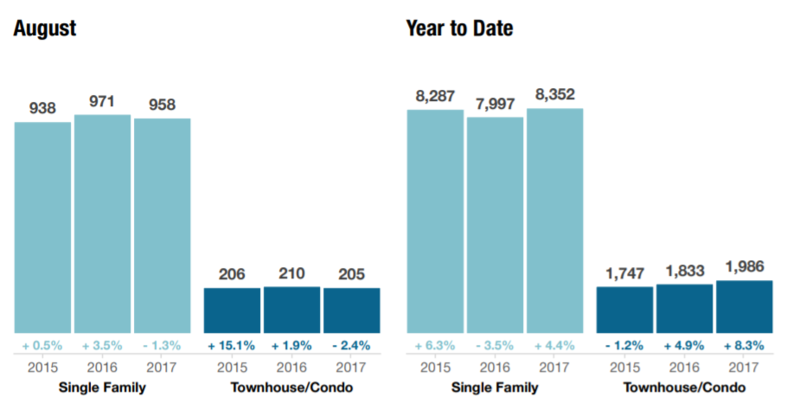 New Listings decreased 1.3 percent for Single Family homes and 2.4 percent for Townhouse/Condo homes. Pending Sales increased 9.1 percent for Single Family homes and 18.4 percent for Townhouse/Condo homes. Inventory decreased 12.1 percent for Single Family homes and 14.9 percent for Townhouse/Condo homes. 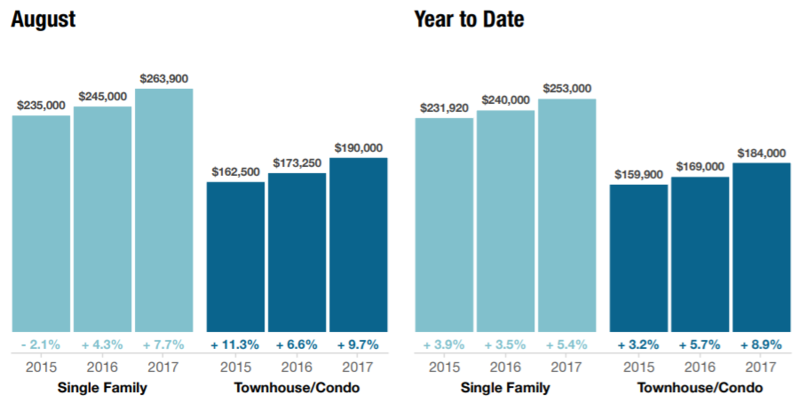 Median Sales Price increased 7.7 percent to $263,900 for Single Family homes and 9.7 percent to $190,000 for Townhouse/Condo homes. 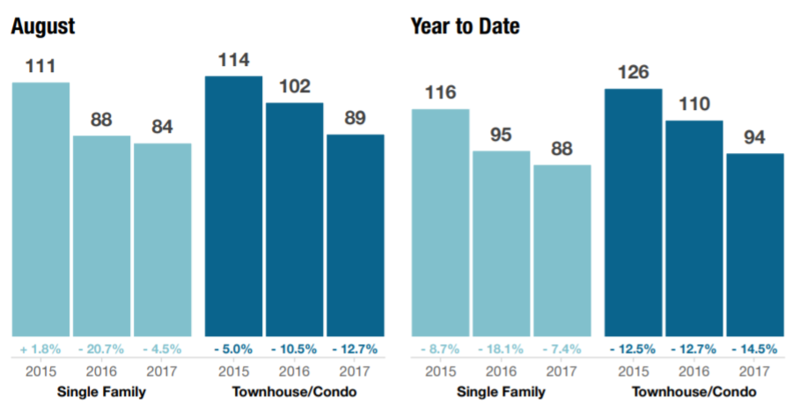 Days on Market decreased 4.5 percent for Single Family homes and 12.7 percent for Townhouse/Condo homes. Months Supply of Inventory decreased 19.7 percent for Single Family homes and 25.4 percent for Townhouse/Condo homes. Although new construction has yet to come to the rescue of low inventory, there are signs that demand for construction materials is high and that previous measurements of low construction activity have been weighed down by the public sector not private, residential building. For the 12-month period spanning September 2016 through August 2017, Pending Sales in the Cape Fear Area were up 10.1 percent overall. The price range with the largest gain in sales was the $450,001 or More range, where they increased 25.5 percent. The overall Median Sales Price was up 6.5 percent to $230,000. 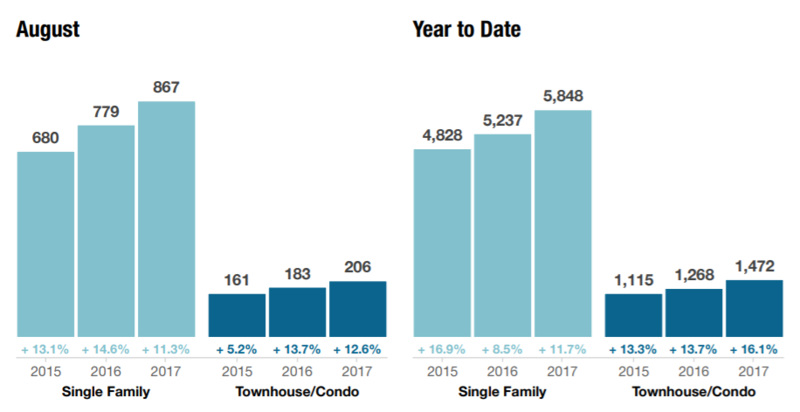 The property type with the largest price gain was the Townhouse/Condo segment, where prices increased 6.2 percent to $180,375. The price range that tended to sell the quickest was the $150,000 and Below range at 77 days; the price range that tended to sell the slowest was the $450,001 or More range at 142 days. Market-wide, inventory levels were down 13.4 percent. The property type that lost the least inventory was the Single Family Home segment, where it decreased 12.1 percent. That amounts to 4.9 months supply for Single Family homes and 4.4 months supply for Townhouse/Condo.